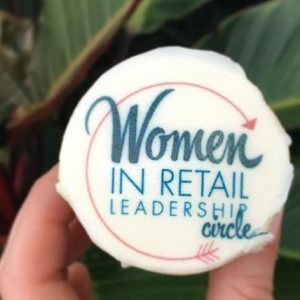 Women In Retail Leadership Circle | Welcome New Members! We’ve had quite a few executive women join Women in Retail Leadership Circle (WIRLC) recently, so, even though we feature new members each week in the Inner Circle, I thought I’d use this space to welcome them. They include: Rachel Feingold, vice president, home store, Century 21 Department Stores; Collette Vaughan, director, e-commerce operations, West Marine; Jasmin Walters, e-commerce manager, operations and customer service, Aeropostale; Mamie Dayan Vogel, senior manager, strategy and insights, in-store environment, The Home Depot; and Joelle Maher, president and CEO, Hanna Andersson. What an impressive group of women in retail from across the country! Furthermore, what a diverse mix of retail categories: specialty retail; home improvement; apparel; department stores; boating. I always get so excited when I see a list of women who have joined us. It’s so inspiring to see women are taking the important steps of joining the Circle so they can learn, network, and better their careers and lives. WIRLC is a unique, members-only networking group that offers enterprise-level women in the retail industry the tools to grow both personally and professionally. Our members — successful, motivated and passionate women from the retail world — regularly share best practices, discuss industry issues and find inspiration about how to conquer challenges in their professional lives. Networking: WIRLC hosts a variety ways to help women do what they do best: connect. Education: Our weekly e-newsletter, Inner Circle, provides expert advice and information on topics designed to help subscribers’ professional productivity soar. Members-Only Website: Have a question? Post it on the WIRLC Forum or send a private email to another Circle member who you’ve always wanted to get to know. Looking for a new job? Looking to hire? Be sure to check out the members-only job board. Events: WIRLC hosts a variety of local and national networking events. The Women in Retail Leadership Summit has been described by many as simply “the best conference,” and Circle members attend for a reduced price. Finally, and perhaps most importantly, WIRLC enables you to meet great women like the new members mentioned above! If you’re interested in joining the Women in Retail Leadership Circle, check out our site and apply for membership here. Giving Thanks Miami Dreaming Speaker Squads Set for Girl Talks! Way to Go Chico’s!